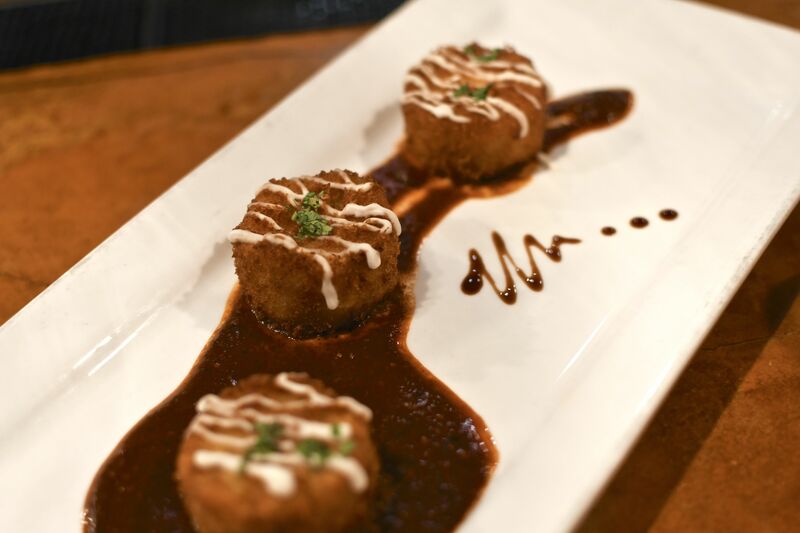 Three PLANTAIN CAKES, breaded and fried filled with cream cheese, a smokey chile cascabel sauce and sour cream ON THE TOP. 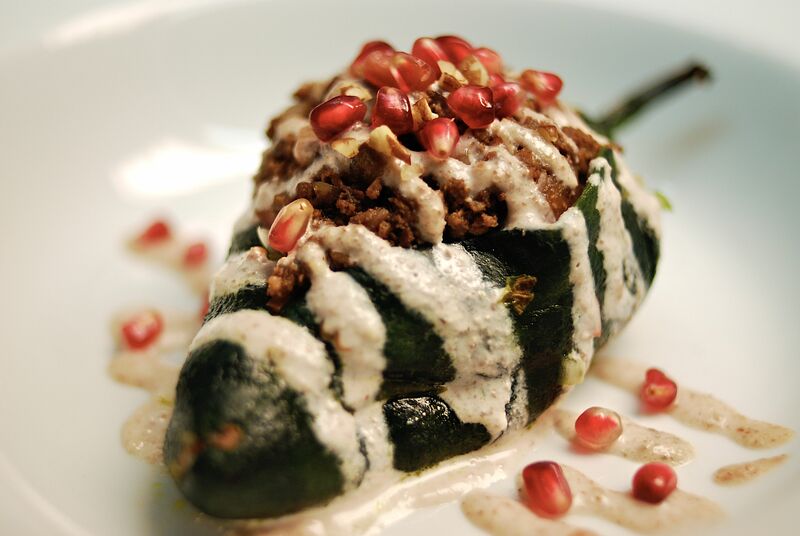 Chile Poblano stuffed with beef, mixed with pecans and dried fruits. Covered with a SWEET cream based pecan sauce AND sprinkled with pomegranates. 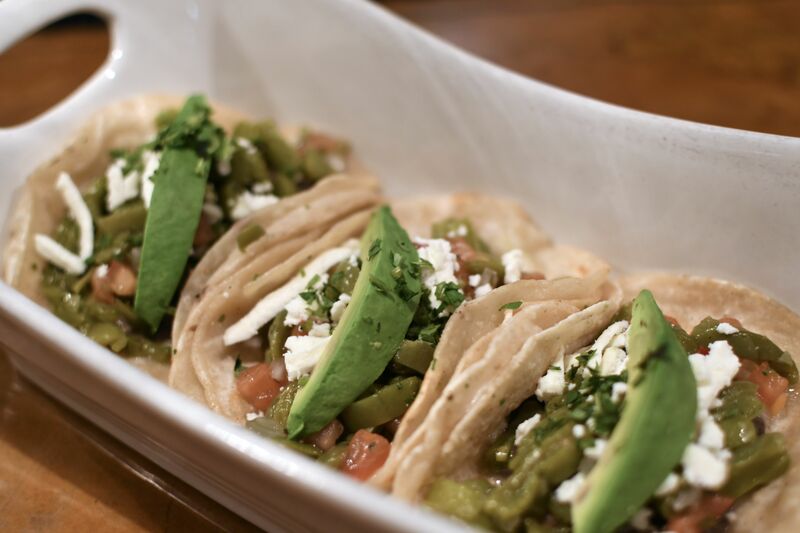 Three nopal (cactus) tacos with beans and Avocado topped with queso fresco. 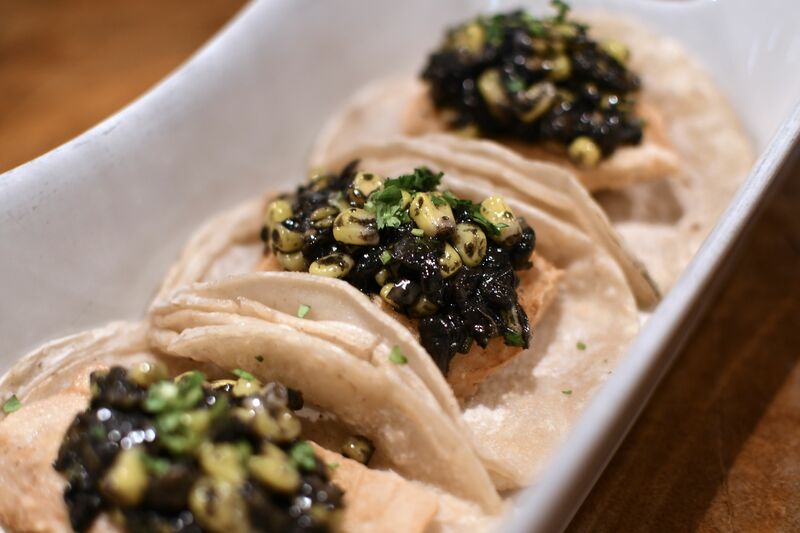 Three TILAPIA tacos with HUITLACOCHE AND SWEET CORN. FLANK STEAK COOKED WITH CHILE CHIPOTLE,ONIONS AND TOMATOES. 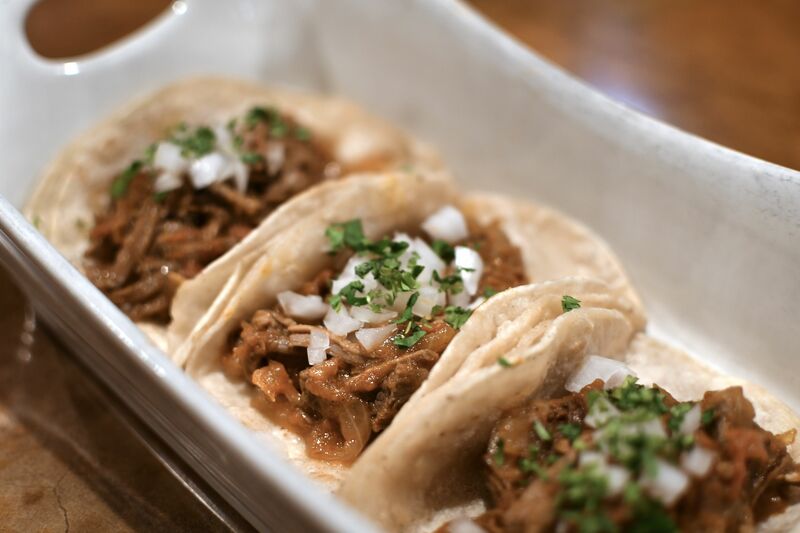 SEVERED WITH CILANTRO AND ONIONS. SIDE OF PANCHO VILLA SAUCE.